VIKASA was founded 30 years ago by a Gandhian in letter and spirit Sri Parimi Viswanadham. Its Administrative office is located in Visakhapatnam. The core of activities of VIKASA revolve around the Natural Resources Management with a special focus to Agriculture and Horticulture. As majority of rural folk depend on agriculture, VIKASA is keen in promoting the Natural resources Management based livelihoods, promoting organic agriculture to handover a healthy and sustainable future to the coming generations, women empowerment through financial inclusion by setting up of Mutually Aided Cooperative Thrift Societies (MACTS) etc. Besides, VIKASA is actively involved in Holistic development of the rural areas Education and awareness programmes Health and Sanitation Development of Fisher folk Creating Market linkages Strengthening Livestock sector, which is backbone of the farming community and Working with Adolescents in sensitizing them for their healthy future and overall safety of the society. Currently VIKASA is directly working with 3000 farming families in Araku and Dumbriguda Mandals of Visakhapatnam, 20,000 rural families through three MACTS located in Chodavaram, Bheemunipatnam and Araku Valley. VIKASA strongly believes in culture plays a key role in keeping the society intact and can be used as a development vehicle. It was demonstrated in promoting the activities like Gobar porob by involving the entire village for preparing manure, using the locally available resources to improve the productivity of their crops. 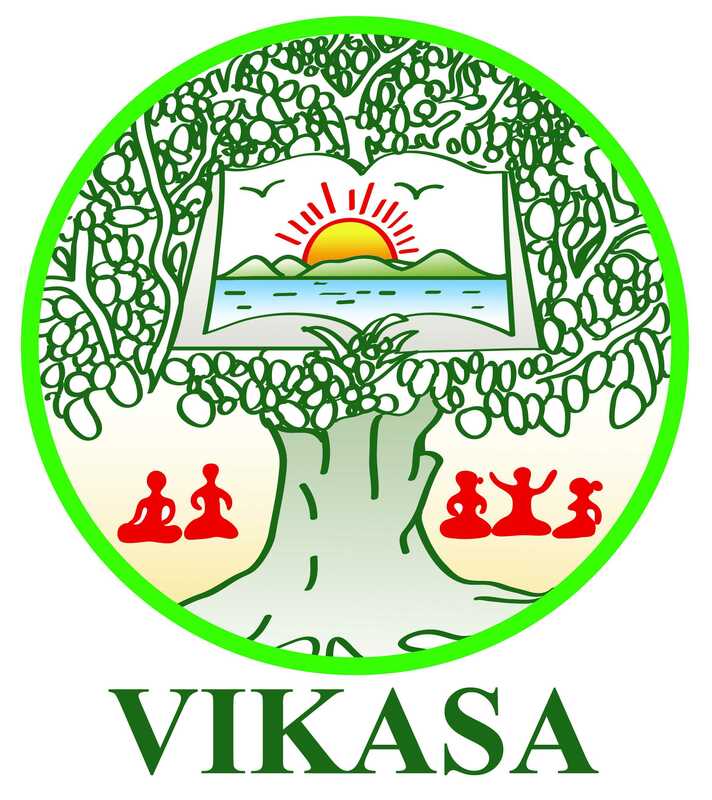 VIKASA is a recipient of Rajiv Gandhi Patri Bhumi Mitra award from the Department of Rural Development , Government of India in 1997 for its yeoman service in forest restoration and developing wastelands into agriculturally productive lands under watershed programmes in Visakhapatnam District. VIKASA follows Livelihood approach for a holistic development of the people thereby the villages. This involves five key strategic areas of development, as described and depicted in the image. Human Capital Development involves organizing trainings, exposure visits, skill enhancement activities, etc. All these activities are expected to attain the knowledge about the new things / activities, forming a favourable attitude in adopting them by learning the necessary skills. Social (and cultural) Capital Development involving formation of Village Development Committees, Farmers clubs, Farmer Producer Companies, integrating the agricultural activities with the local festivals to enable higher adoption as well as inculcating the scientific rationale in adopting the approach, inculcating the social change in reducing the open grazing to protect the orchards etc. These two (human and social) capitals form the basis for the conviction of the clientele with whom we work and to help them pursue on the next level of capitals such as Physical and Natural capitals. Natural Capital Development involves bringing the fallow lands into the productive assets by raising the orchards, growing intercrops in the orchards to maximize the outputs, raising of the bio fence crops to restrict trespassing of cattle thereby protecting the orchards in the early years of raising orchards. All these four capitals form the basis for the economic development of the individual as well as the family. This involves attaining the higher economic returns from their existing piece of lands, maximizing the outputs by optimizing the resource base, applying new skills to attain the economic benefits from the existing resources base etc. In addition, VIKASA has been involved in the economic inclusion since late eighties by setting up MACTS (Mutually Aided Cooperative Thrift Societies). Till date, VIKASA has initiated three MACTS, the first one in Chodavaram (VIKASA MACTS) which is currently operating with a turnover of ₹21 Crores; SAGARA VIKASA located in Bheemunipatnam and is operating with an annual turnover of ₹5 Crores; and the third one VANA VIKASA MATCS with all tribal farmers located in Araku Valley with a turnover of ₹1.5 Crores. All these MATCS cater to the cash needs of the members and all the three MACTS put together serve to a total member base of 20,000 families in Visakhapatnam District.